How can I optimize the usage of the GSM Air-Interface capacity without degrading the speech quality? What is the meaning of the various new parameters, logical channels and counters like: ACS, CMI, CMR, CMC, RATSCCH, convolutional coding, puncturing... ? 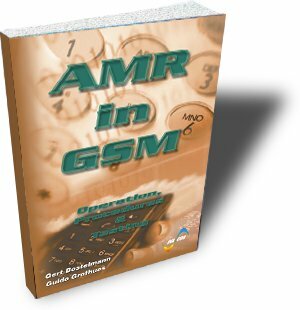 What is the meaning of the various new messages that have been defined for AMR? How can I decode hexadecimal AMR inband signaling messages? What is the impact of AMR introduction for TRAU, BTS and mobile station. What are the effect of TFO, DTX, Handover,… on AMR? How and where can we test AMR in the GSM-Network and mobile station? Depends the function of AMR on the speaker’s language? Design engineers who shall develop AMR for the BSS or for the mobile station. Network operators who require a detailed understanding of the technical realization and implications of AMR.